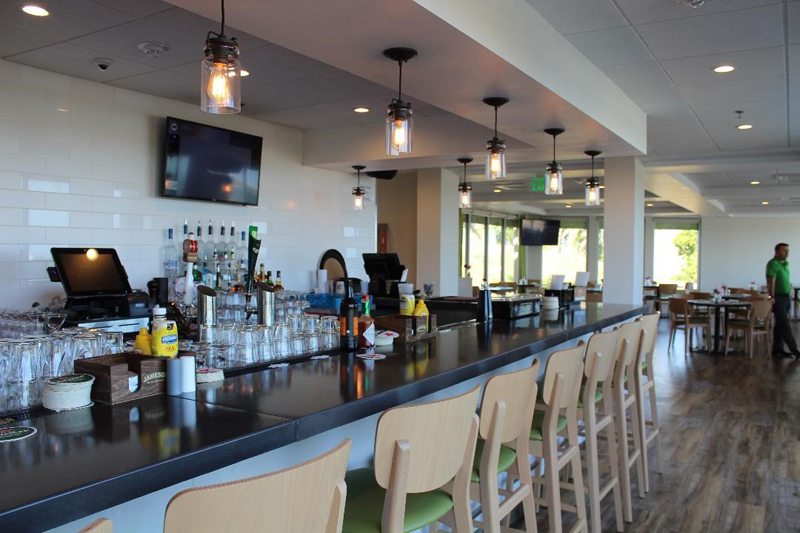 Divots is the latest new venture by Harbourside Holdings, the group behind Flanagan’s Irish Pub, Outback Sports Bar and the Snug Café, and Chris Garland, Director of Harbourside Holdings, said, “We wanted to create a family-friendly eatery that caters to golfers, local residents and tourists. A keen golfer himself, Garland is currently working as the Public Food & Beverage Concessions Manager for the America’s Cup and brings more than a decade’s worth of experience to the table. 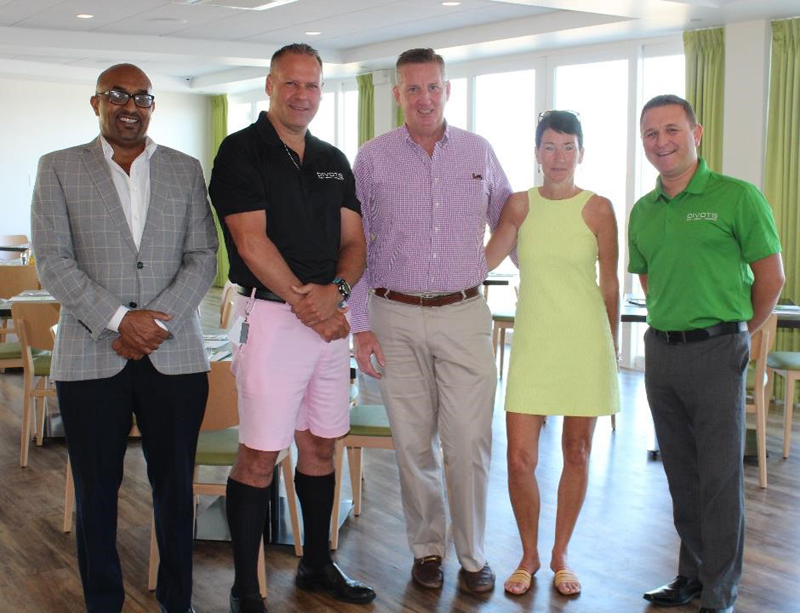 “The new restaurant has created roughly 10 new positions for Bermudians,” the company said. “Previously there was just a small snack shop geared towards golfers. Since Harbourside Holdings took the reins, they immediately saw greater potential to expand the space and take advantage of the spectacular views. “The renovations took place during the first quarter of 2017 and the space has now been transformed into a bright and airy restaurant and bar. 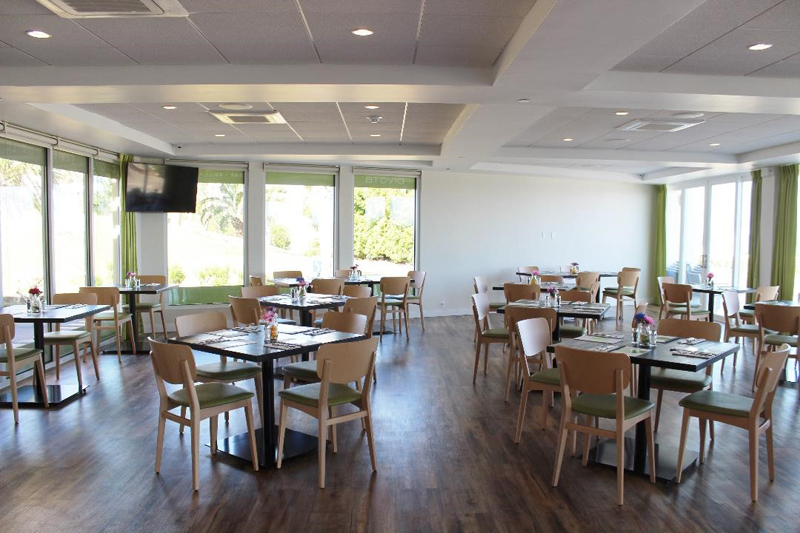 The restaurant is open for breakfast on weekends starting at 8am with a delicious menu including a traditional Bermuda codfish breakfast. 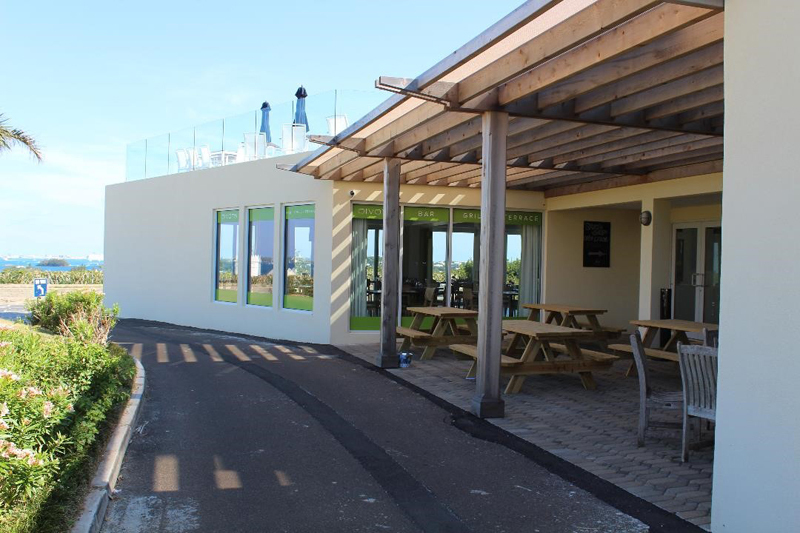 The group have also transformed the snack shop into a halfway house with outdoor seating which will cater to residents of Belmont Hills, golfers and locals and will be open from 7am for coffee and breakfast. Conveniently located on the 9th hole of Belmont Golf Course, Divots also boasts panoramic views of the Great Sound. The restaurant is wheelchair accessible and is designed to be multifunctional. Divots also has six TVs, accompanied by a brand, new sound system, which will stream live sports. The owners anticipate this will be a big draw for golfers looking to enjoy lunch or dinner after their round. Divots will also serve as a function space hosting golf tournament receptions, corporate dinners and private events. Divots’ menu can best be described as contemporary American with a Bermudian flair. Andrew Trott, General Manager of Divots, commented, “We wanted to create a friendly, inviting atmosphere and the menu reflects that – there’s a little something for everyone. The restaurant marks the perfect marriage of Garland and Trott’s passions as they are both avid golfers who have made a career in the food and beverage/restaurant industry. Divots enjoyed a soft opening at the end of May and is open seven days a week for lunch from 11am and dinner on Thursdays, Fridays and Saturdays with breakfast on weekends. It is intended that Divots will soon be open seven days a week for dinner later on in the summer. For opening hours and to see the full menu visit www.divots.bm or check them out on Facebook. Good luck to them, more local places needed outside of Hamilton. Maybe early days in the decor, but needs some personality, crying out for some pictures on the wall. I love what the Outback have done with local sports teams and stars. Fantastic. Belmont members deserve this and Chris, Andrew and their team will deliver an exceptional service, Well done and Good Luck! All that time to do that though? See you in November. Staying at Newstead for the 1st time. Been to Bermuda about 22 times but it has been a while. So looking forward to this vacation. Bermuda is a great place to celebrate our almost 53rd anniversary!